I used to really almost loathe swiss chard, which is surprising because I’ll eat just about anything that grows from the ground. 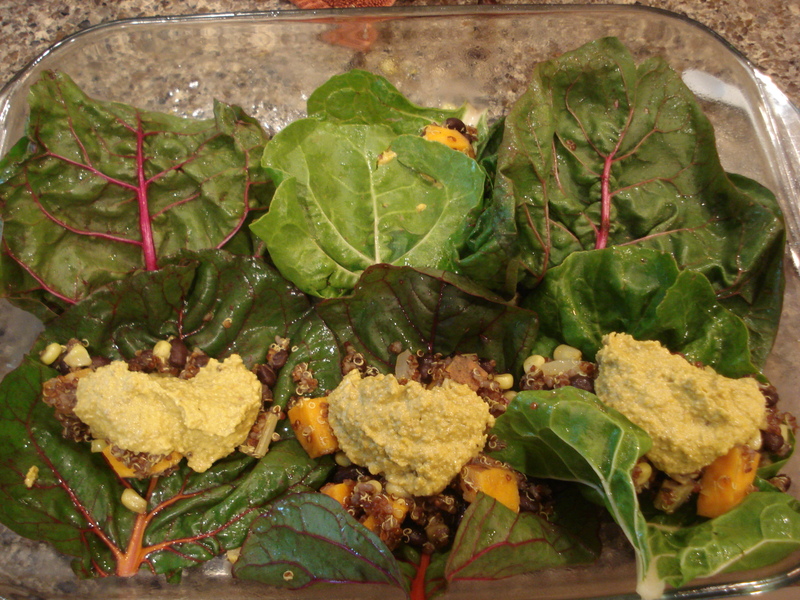 I found it too earthy and gritty, but since I’ve been working at Greenbrier and bringing home copious amounts of the colorful, beautiful leaf, I had to find a way to make it that was completely delicious. Sauteing it with some olive oil, garlic, cumin, sriracha (who doesn’t love the red rooster sauce! ), salt, and a hint of maple syrup sold me. But I wanted more–more variety, more flavor, and something that wouldn’t leave me hungry a half an hour later! 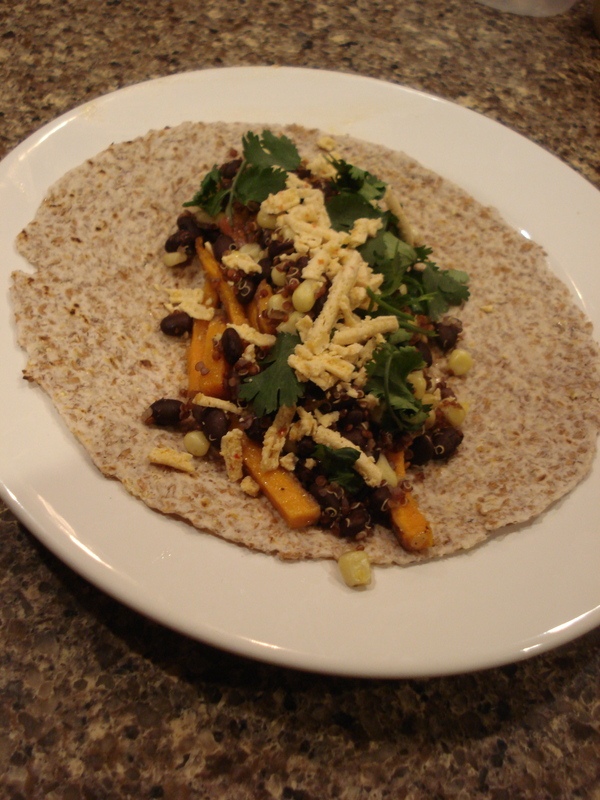 Cheezy, slightly spicy, with the flavor of sweet corn and sweet potatoes. 1. 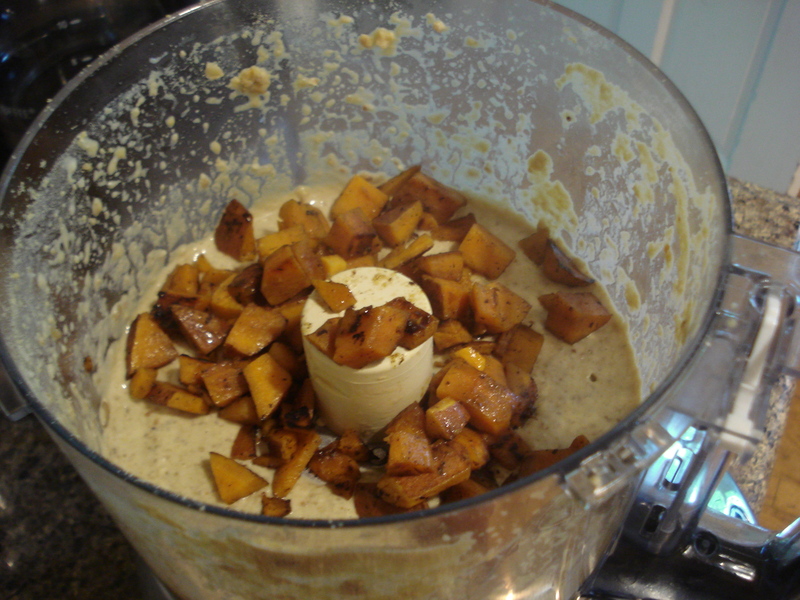 Cut the sweet potato in half and chop coarsely. Cook on stove top over medium-high heat with olive oil. While this cooks, start the rest of your sauce. 2. 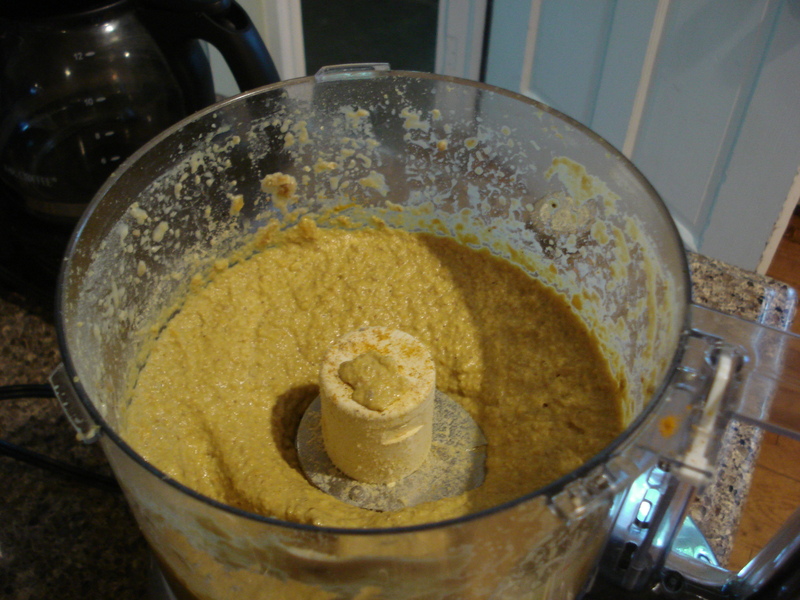 In a food processor, blend the cashews, sunflower seeds, garlic, non-dairy milk, and water until smooth. Add in the rest of the ingredients. 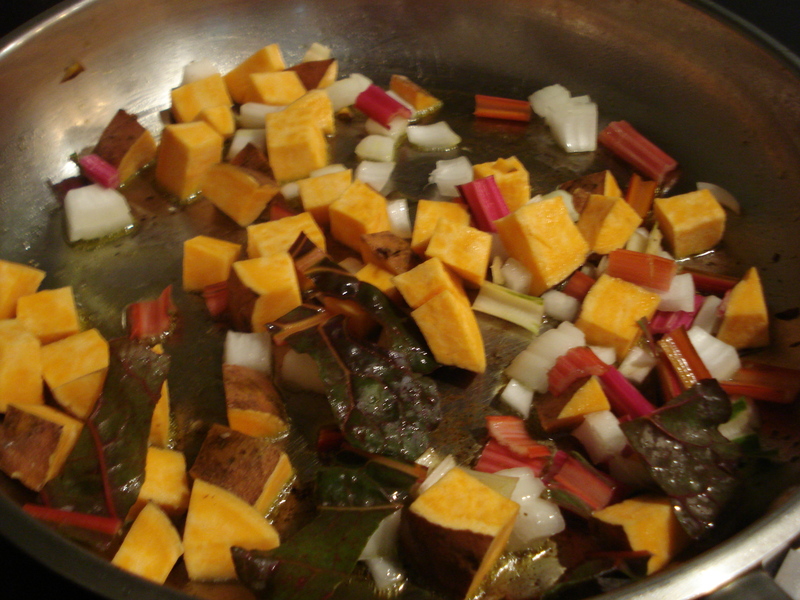 When the sweet potato pieces are soft, add to the sauce and puree until creamy. 3. 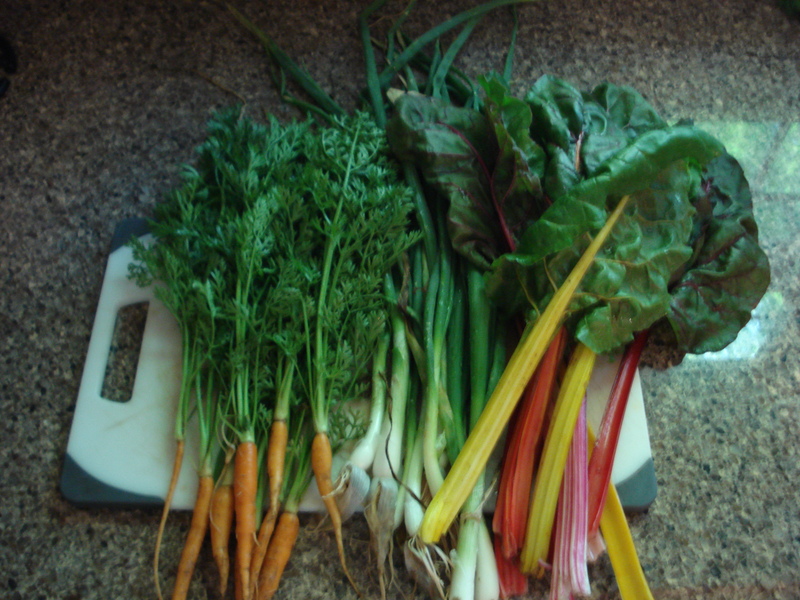 Make sure your swiss chard is thoroughly washed, and remove the stems by slicing them off of the leaf. 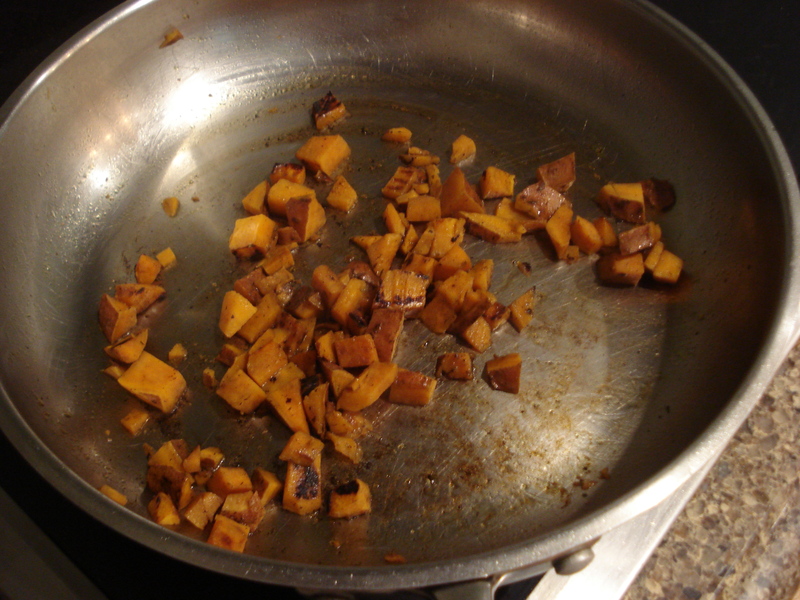 Don’t discard them–chop them, the other half of the sweet potato, and your onion and saute in a pan with olive oil. 4. 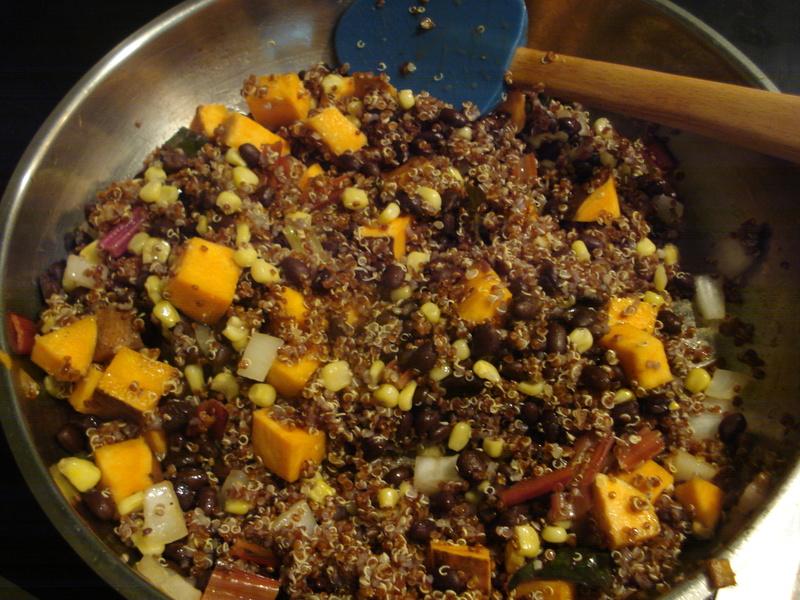 Cook until the sweet potatoes have begun to soften and add black beans, corn, and cooked quinoa. Sprinkle with salt, curry powder, and garlic powder. 5. Now it’s time to stuff the chard! 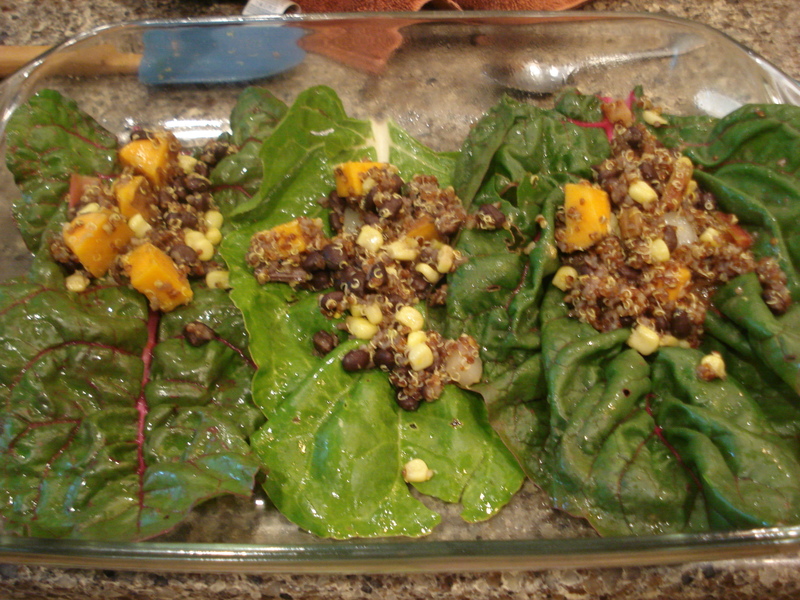 Lay one row of leaves in a 9X13 glass pan. Spoon a generous amount of the sautéed mixture onto the leaves. 7. 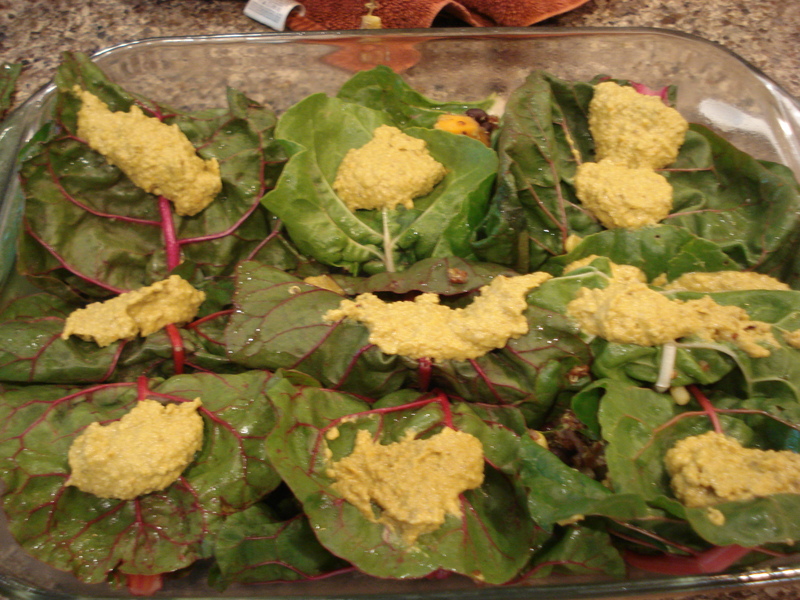 Top all of the rolled chard leaves with the remaining sauce. 8. Bake in a 350 oven for 15 minutes. I enjoyed mine with some sriracha 🙂 You’ll need a fork and knife to dig into this baby . 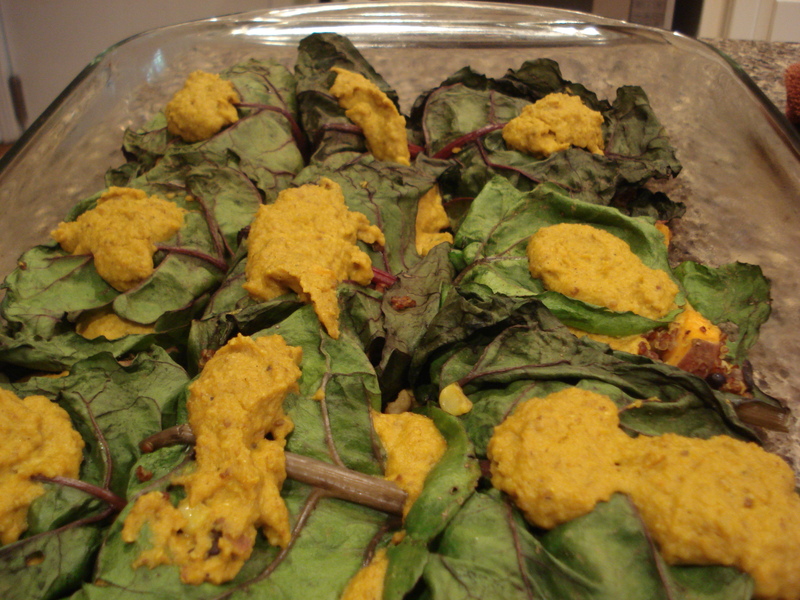 . .
How do you prepare swiss chard? This is shared on: Real Food Wednesday and Fight Back Friday. 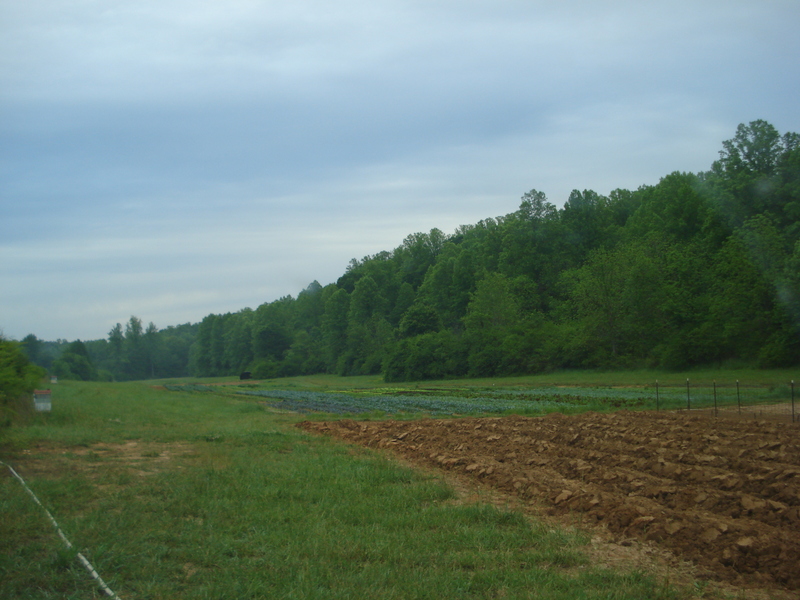 These past two weeks, I have been bringing home a stunning amount of beautiful, nutritious, fresh-from-the-field food from my internship at Greenbrier Farms. They make sure that everyone working gets to partake in the bounty of the harvest, and it’s contributed to nearly all of my meals being at least 50% local (some of them 100%)! I love eating food that I know I had a hand in harvesting, washing, and packaging earlier that week or even that morning! That loaf of bread? 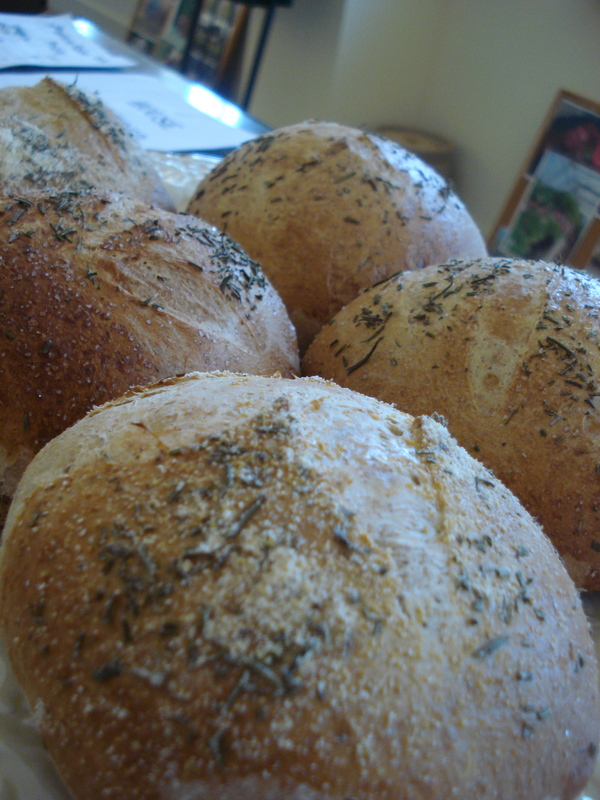 GARLIC ROSEMARY! DIVINE. This week, Roddy, one of the owners, told me to just go out in the garden before you leave and pick some of what you want . . . you know what’s out there and ready, you’re in it everyday. Isn’t food the whole point? Why thank you sir, I believe I will! And, I believe it is! 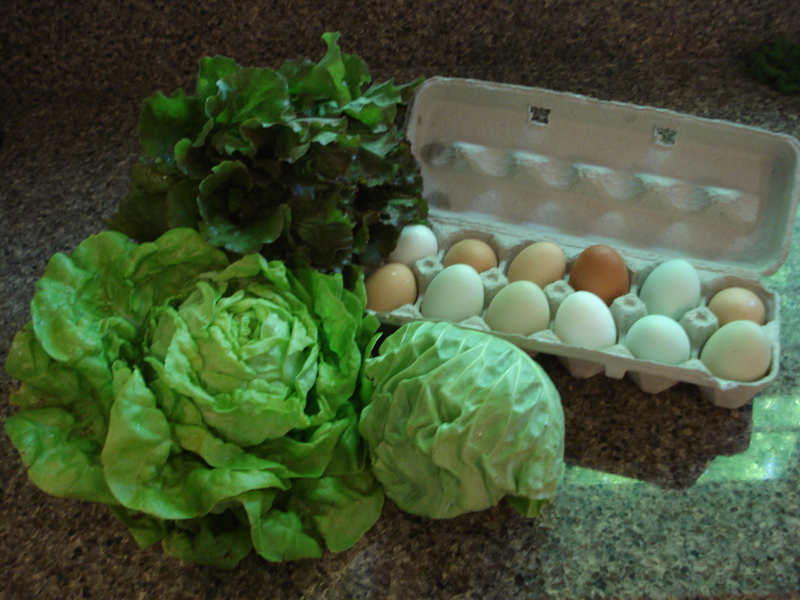 Farm fresh eggs and crunchy yet smooth and buttery lettuce? Yes please! This lettuce reminds me of a buttercrunch, but better! It is called kwik, I think. 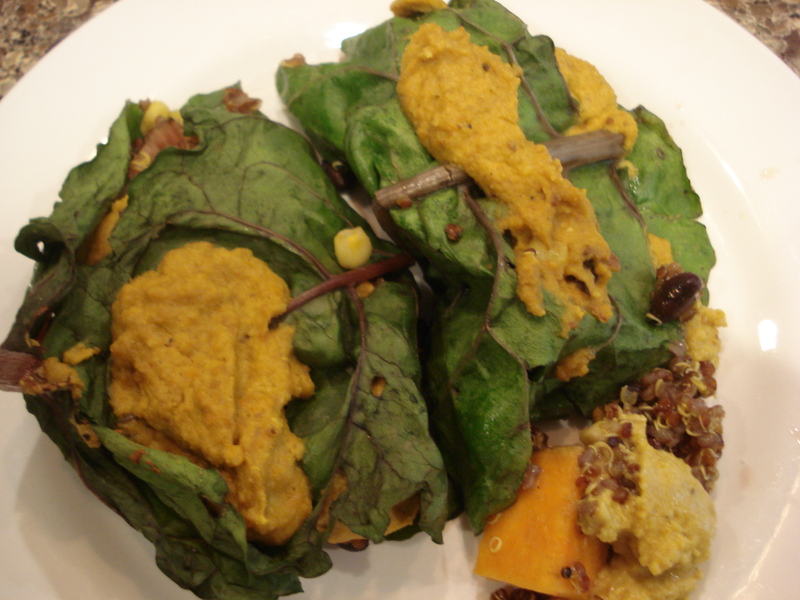 I used it in southwestern style lettuce wraps, and the eggs in mini, personalized frittatas. YUM! 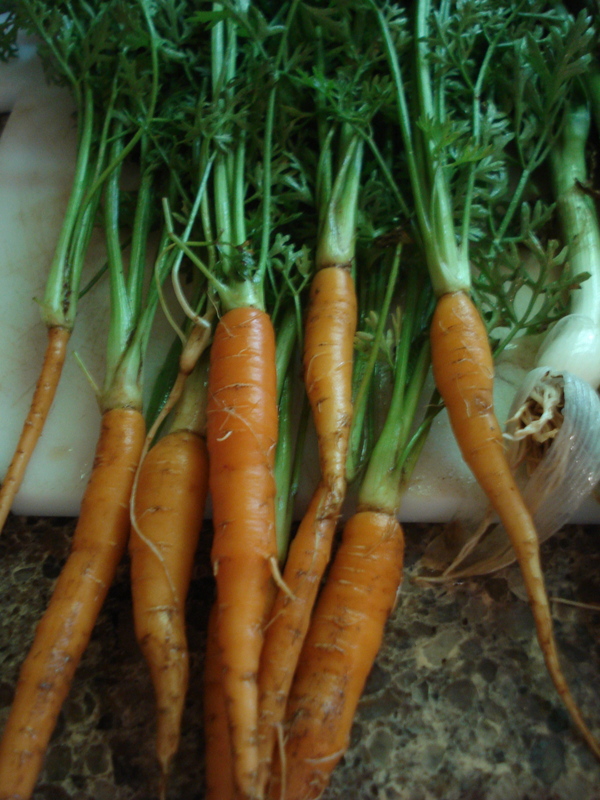 What are some of your favorite recipes with foods in season now? This post is shared on: Living Green Linkup at Like A Mustard Seed. First Day at the Farm! Well, I started my day bright and early this morning! I was expected at the farm at 7:30, so I had to leave the house by 7:00 and be up at 6:30. When I got to Greenbrier I was thrown right into the thick of things! 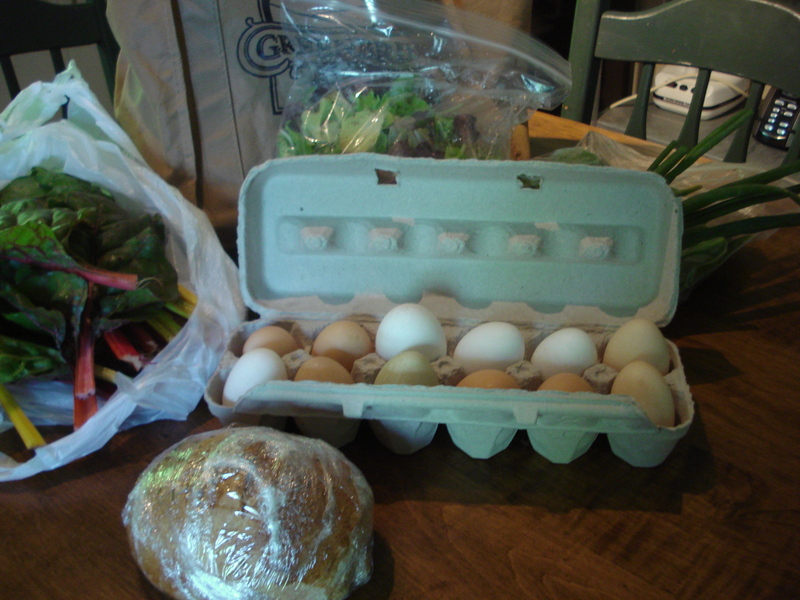 They have their first farmer’s market tomorrow, so today was going to be a busy day. 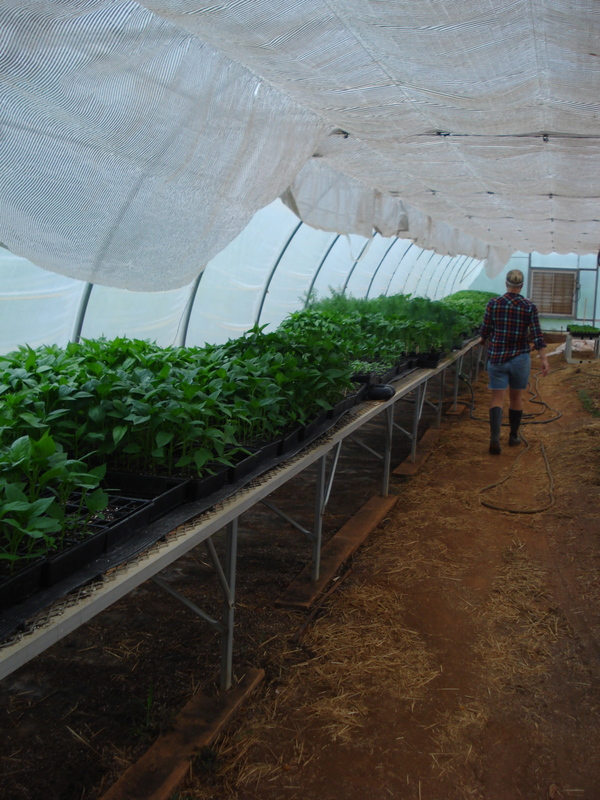 Megan, another intern working and living on the farm, took me out to water the plants in the greenhouse and harvest spinach. Beautiful, huh? That’s the garden! 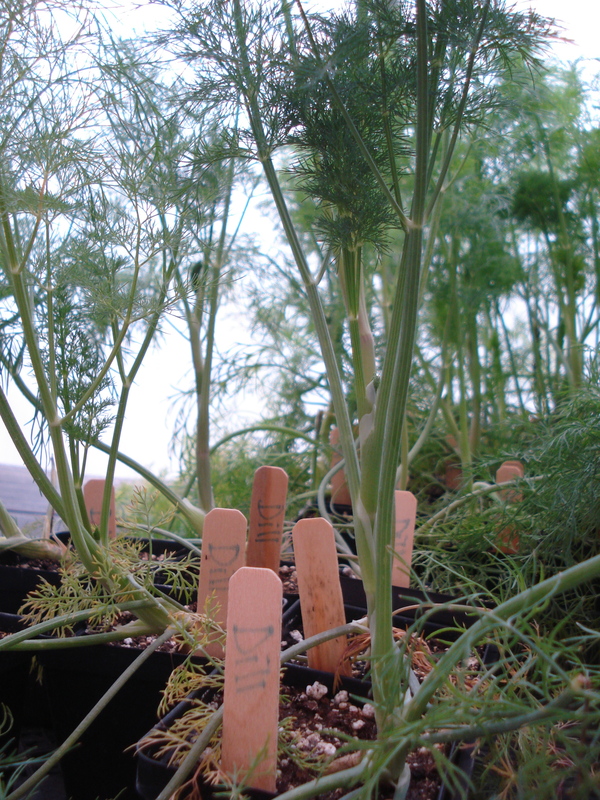 This dill is going to make some delicious pickles one day . . . 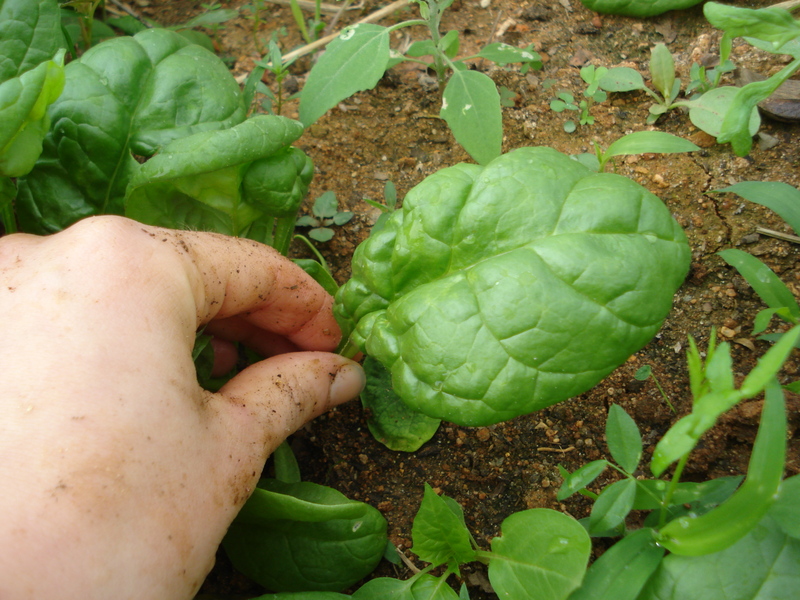 Picking the spinach. I’m pretty sure the people I was working with were really amused that I kept pulling out my camera! 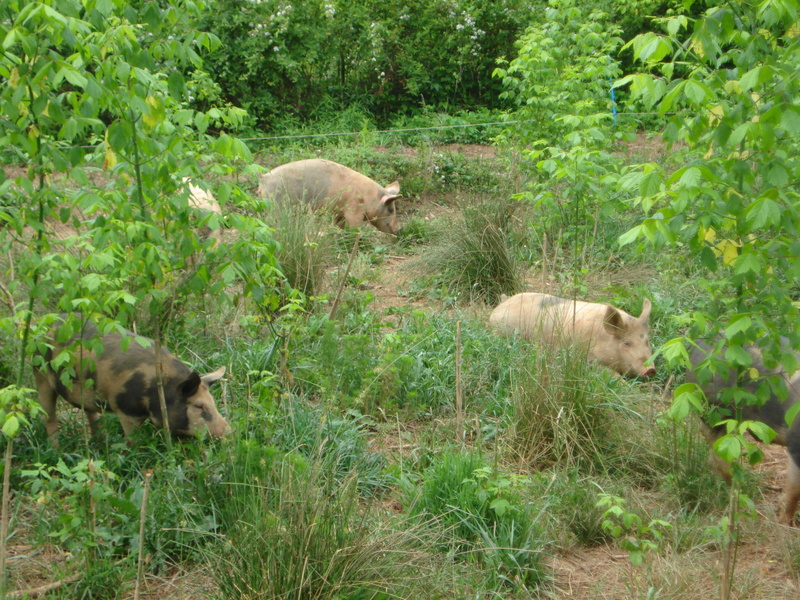 Then we went to visit the hogs. 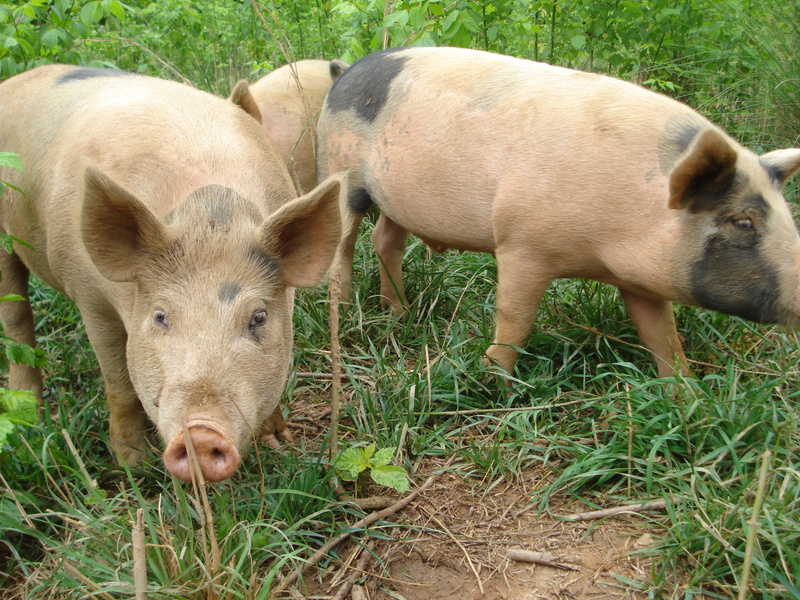 Pigs were my favorite animal as a child, so I was pretty excited! Look at these little guys! So curious. 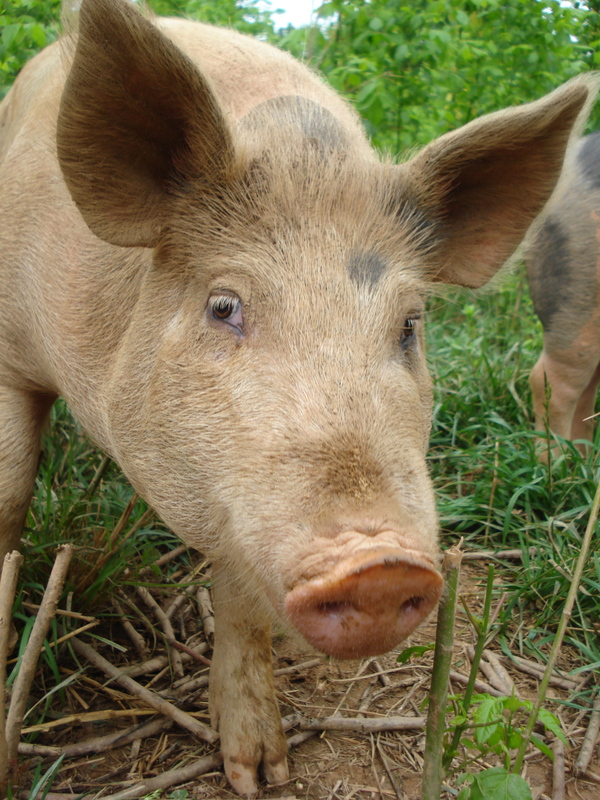 I’ve read that pigs have the intelligence level of three year old children–pretty crazy! 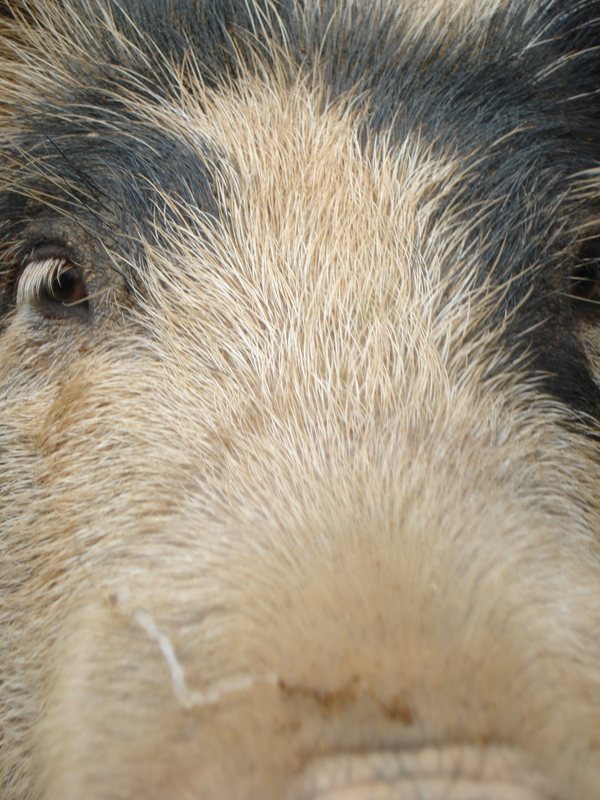 They rank fourth on the list: humans, primates, dolphins, then our porcine friends. Stay tuned! Tomorrow I’ll share the rest of my first day at the farm.